When you think about things that require repairs as well as maintenance it seems that any working moving part is on the list. If you have a part that is moving you want to make sure that it is able to do its job. That is why you have to make sure it is maintained. 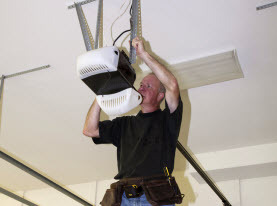 During a regular maintenance check the technician will be able to find and make repairs that are needed. 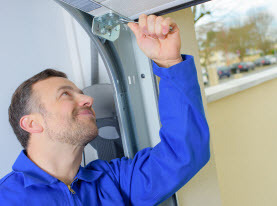 Some of the things that are in your life that need maintenance are your car, appliances and the largest moving part of your house the garage door. The garage door is a part of your house that you depend on to get in and out and park your car. That is why you want to make sure that it is in good condition and working well. If your door stops working you will be stuck parking in the elements. The door can also be dangerous if you are using it when it breaks down. Garage Door Lubrication: One of the most important parts of keeping a moving part moving is to have it lubricated. If you have a moving part and it starts to seize up it will not be able to work. It might also cause the part to wear out fast and need to be replaced. 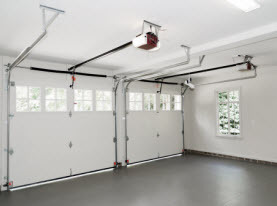 When you have your garage door maintained they will make sure that all the moving parts are lubricated. There is a lubrication that is best for the garage doors it will be placed on all the rollers, tracks and hinges to name the main few parts. These areas should be re-lubricated so that they are able to move smoothly. If there is not lubrication it will create heat and cause the parts to slow down and make noise and wear out. Clean & Remove Rust from Garage Door: There are several parts of the door that are made of metal. The door is also susceptible to weather and other elements. When metal meets with water the outcome is often rust starting to form. The rust is not good and will break down the metal When you have your garage door maintained they will clean and remove any rust that is forming. They can also replace any parts that have been too effected by the rust. Replace Side & Top Garage Door Weather Stripping: Another part of the garage door that is important is the insulation. The door itself can be insulated to keep the temperature more uniform when compared to your house. The door also will have weather stripping that will basically line the door. When the door shuts it will work to seal the gaps. When you have your door maintained the weather stripping will be inspected and replaced when necessary. This will help to regulate the temperature in the garage making the house feel cooler or warmer as well. 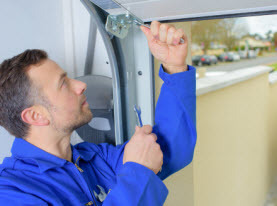 Vegas Valley Garage Door Repair can come to your house and maintain your garage door to keep it running smooth. Call us today to have a technician sent to your house.